In our beauty and skincare centre, when Dermalogica meets skin, skin health is redefined. Dermalogica is number one for professionals and consumers world wide. For over 25 years they have been dedicated to delivering skin health results through education, innovation and professional recommendation. Truly understanding your skin is the first step towards a lifetime of skin health. Here at Daniels, our therapists are armed with the unique facemapping skill which will enable us to decode your skin, zone by zone (a bit like reflexology but for the face!) and equip you with the real advice and results driven regimen only available from a trained professional. As well as results, after experiencing the ultimate facials with us, it will be hard to waste your time anywhere else! Using only the best in the industry brands, you can be sure to receive the best treatments possible. Choose from an extensive range of facials, manicures, pedicures, body treatments, eye treatments and waxing. Don’t forget to look out for our special occasion treatments, including Bridal hair and makeup and Timeout packages. Don’t forget, when you buy Dermalogica from us you can enjoy 10% off your first facial! Maintain those salon results at home! Babtac and Cibtac Qualified in 2001. Dusty started working at Daniels of Wetherby in 2002. She left to work in the cruise ship industry, Disney cruise Line for 3 years. Returning to buy the business- creating Daniels of Wetherby by Dusty in 2008. Dusty is the owner of Daniels of Wetherby. Originally trained at the Yorkshire College of Beauty qualifying in 2006. Lisa worked in a salon for 5 years, then furthered her career within the teaching industry for 3 years. Lisa has been a member of the Daniels team for nearly 3 years. 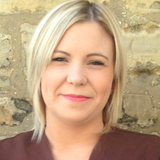 Jessica has over 7 years experience in the beauty industry, qualifying at York city college. With the knowledge and experience of working within a spa and a salon environment. 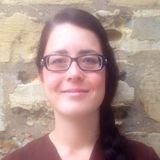 Jessica joins the Daniels team from Hazel Wood Castle. 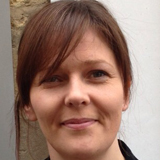 Katie has been fully qualified for over 18years. She is ITEC qualified. 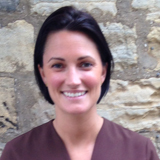 Katie has experienced working for herself as well as in a spa and salon environment.